Malaysia’s leading proptech platform is looking at new horizons to further innovate the property acquisition process. Kuala Lumpur, July 2018 – After two years of disrupting the real estate scene in Malaysia, Bumbung.co has decided to change tracks by pivoting their attention towards improving, upgrading and creating awareness for their subsidiary platforms, PropRebate and PropDIY. The aim of the move is to ensure improved value added services refined for home buyers, home owners and real estate agents alike. PropRebate.com, which was launched to the public as of the 1st of June, has not only received rave reviews from those who have utilised the platform to purchase their new property but also still holds the title of Malaysia’s First and Only Property Cashback Platform. Propdiy.com on the other hand will launch soon towards August and its focus is to help home owners to bring their property to market and sell their own property without an Agent. The team behind the platform ensures that the home owner’s property is listed at the right places without being “promised” by the Agents for a sale. From advertising to all platforms across to signages, open houses and identity protection, the team has put together collaterals across different channels that targets the right audience for your property listing. The crux to getting a fast deal is to be sure that your property is seen marketed. 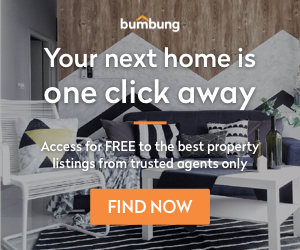 Bumbung.co created these platforms to differentiate the needs and requirements of both home buyers and home owners while also addressing the lack of a support system for real estate agents to acquire solid leads in the property business. The main goal is to ensure refined solutions for the problems faced by both sides of the property acquisition transaction process. Bumbung.co will change its direction from a marketplace module to a service platform that houses both PropRebate and PropDIY for the buyer and home-owner needs. Continue to expect great features that will improve and simplify the property acquisition experience in the Malaysia real estate scene. Freehold vs Leasehold. What's the Difference?